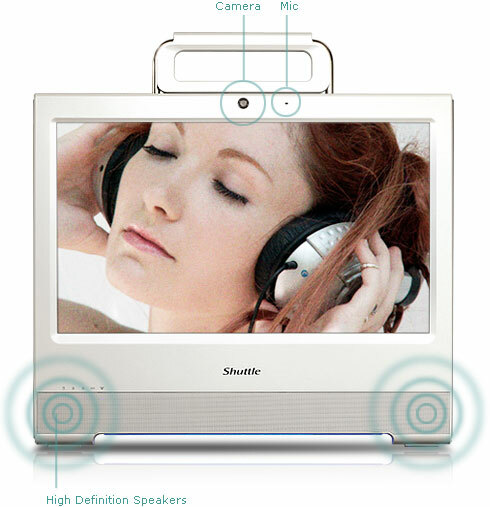 Attractively packaged with all the essentials, the Shuttle X50 V2 Plus all-in-one desktop, with a 15.6 inch touch-enabled display, makes it easy to enjoy music, movies, videos, and surf the web in the home or at the office. It’s slim, elegant, and faster than before with a dual-core 1.8 GHz Intel® processor and more powerful Intel® graphics. 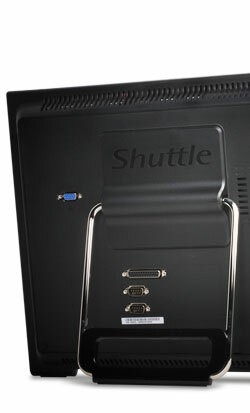 Shuttle X50 V2 Plus packs in all the power and performance you need for a big Internet experience into a space saving, energy efficient package. Now ENERGY STAR qualified, X50 V2 Plus is not only faster but also greener, striking a perfect balance between performance and energy efficiency. It’s also designed to be completely passively cooled – so it’s 100% fanless – delivering a noise-free, dust-free, and virtually maintenance free computing experience. Everything’s now at your fingertips, with the intuitive 15.6 inch touch interface and on-screen keyboard. Easy to navigate and responsive, it can be operated simply by finger or the included stylus pen. 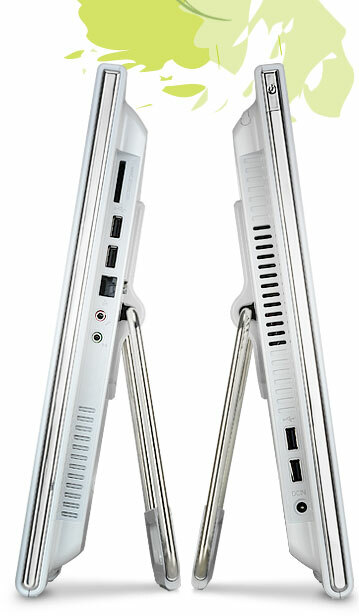 X50 V2 Plus features a versatile stand that can be easily adjusted for differing viewing angles to suit various needs, and even doubles as a carrying handle when folded vertically 180 degrees. Even more versatile with the stand removed, X50 V2 Plus can be mounted just about anywhere. It is VESA mounting compliant, meaning it can be mounted with any compatible industry standard mounting arm or other mounting device. * VESA (Video Electronics Standards Association) was established in 1989 to set and support industry-wide interface standards designed for the PC, workstation, and other computing environments. High-resolution video chatting is now even better, with an upgraded 2.0 megapixel webcam and high-quality microphone that makes it easy to take pictures or stream live images across the Internet. Enjoy great sound from movies, videos, and music, with HD speakers that turns the X50 V2 Plus into a touch screen media device. High-speed 802.11n wireless technology is built-in so it’s ready for chatting, web surfing, and music downloading – all without wires.